Happy Needle and Thread Thursday, friends! I have been working on a little baby quilt for the last couple of days, and it didn't occur to me until after it was already quilted that I didn't take a process photo to share. 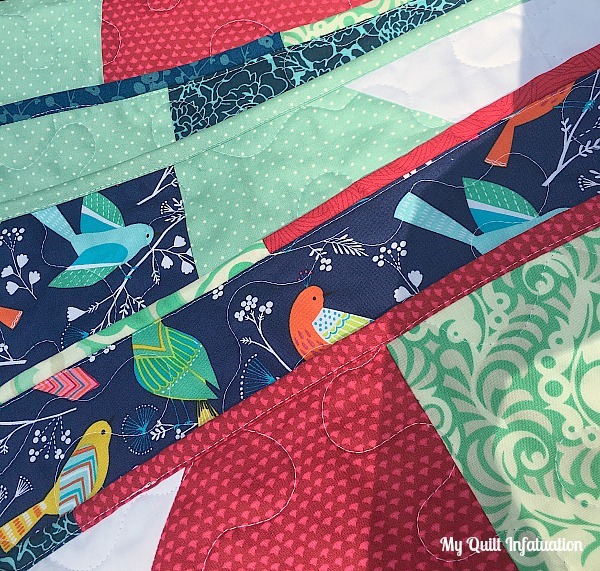 This quilt is for a baby girl due this fall, and this navy, poppy, and mint palette is super cute. I pulled my favorite colors from this Michael Miller folk art bird print. On the back, I pieced the leftovers, which included the very last of the bird print. I'm not totally sure I was ready to part with this fabric just yet, but at least I have plenty of it on the back of my Dabbling quilt. With the pieced binding, I was able to finish this one entirely from stash, which is something I've really been trying to do more of lately. I named this one Chickadee, because the birds and colors are so fresh and happy! Alrighty then! Check out some of the amazing inspiration that was linked last week! Oh my! Maryse Make Things shared this stunner! This beauty is from Shauna's World, and I love the variation in the low volume background. and The Creative Side linked up her Colorful Quilt. Love this palette! 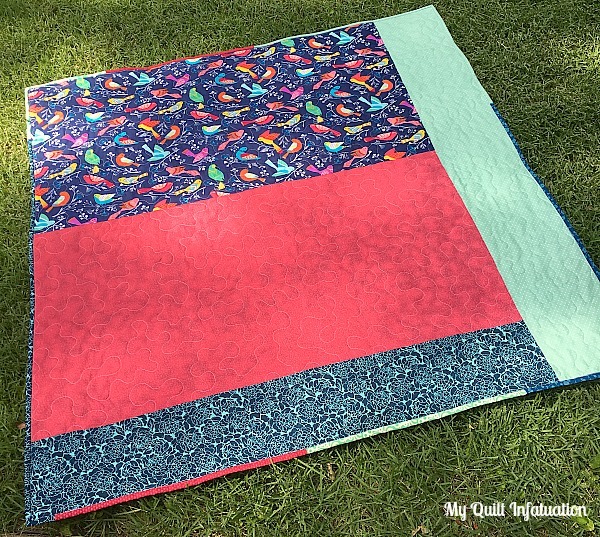 One of the greatest parts of my day is at night, right before bed, when I ogle all of the quilty goodness that you share each week! So, let's party! I love that scrappy Dresden Plate!! 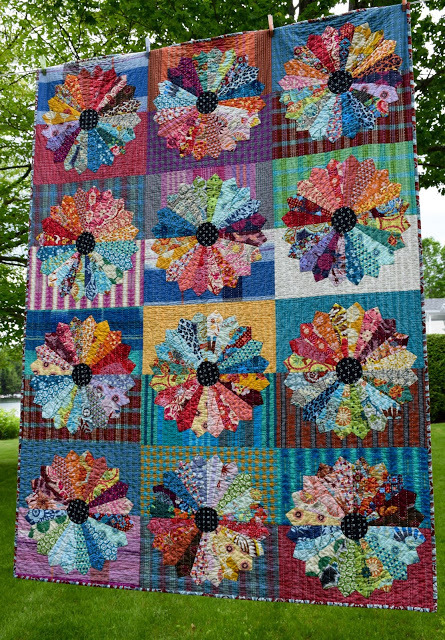 Finally an idea for a big bundle of fat quarters that I have that I have been at a lost of how to use - I just couldn't come up with an idea and have had it staring at me for 3 years now and nothing seemed right. I love your baby quilt. What adorable birds! Yummy! LOVE all the colors in that bird fabric! MMM! MMM! 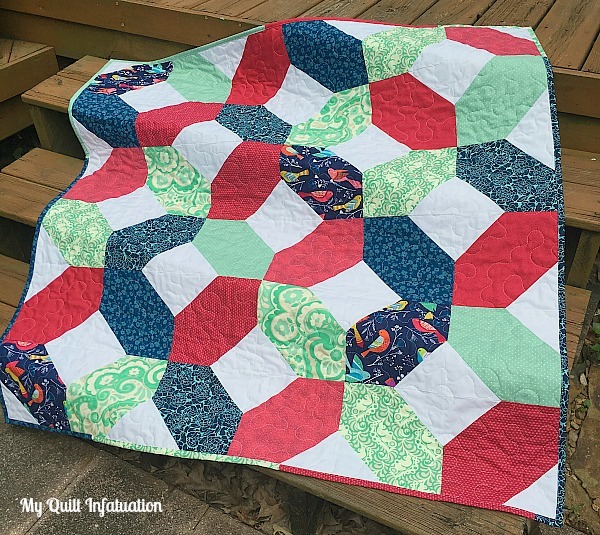 The three quilts you featured this week are outstanding! So fun to visit these talented ladies blogs. So lovely to see my work up here this week, thank you, Kelly!! I love your bird fabric! Chickadee is beautiful! I especially love the scrappy binding and your palette. I'm not a big fan of mint, butI absolutely love it here! I love your Michael Miller bird print for the backing! My backings are too often afterthoughts, but I really enjoy when I flip someone else's quilt over and find a delightful print like yours. Great use of the bird print, such a lovely little design and colours. I am sure the quilt will be well-loved and you might have set the wee darling up as a bird fan of the future too! 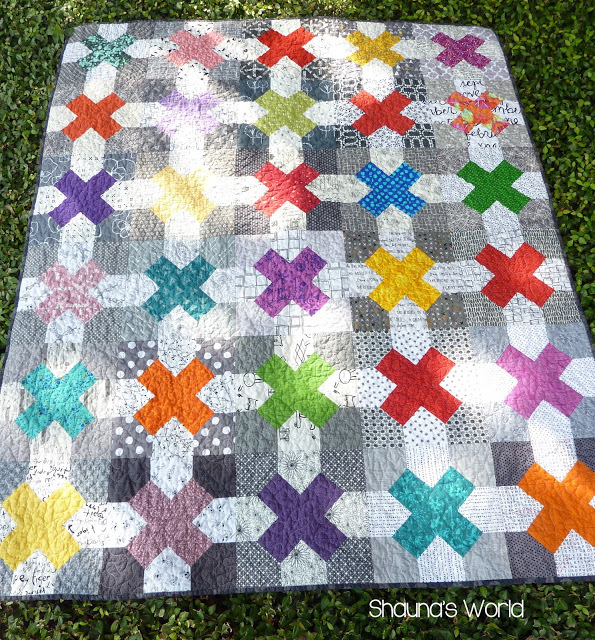 Very fun baby quilt! 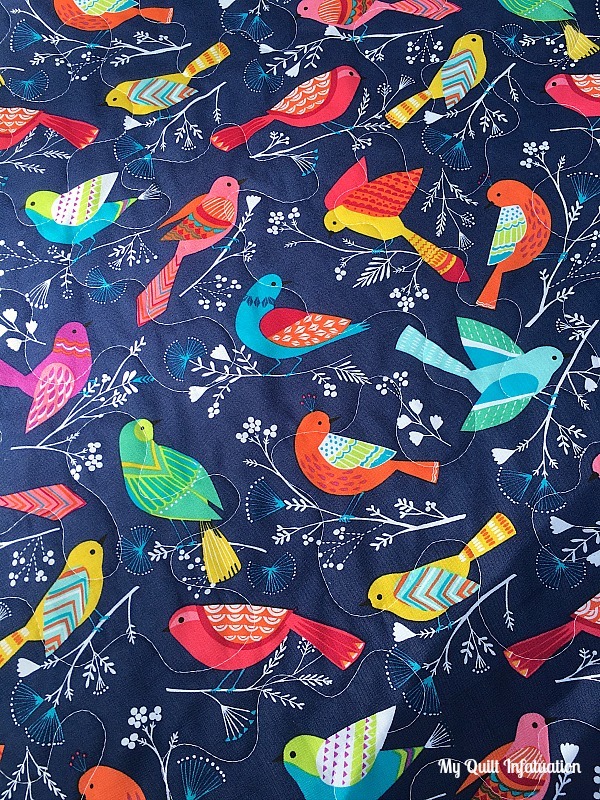 The bird fabric is very cute, not sure I'd be ready to part with it either.